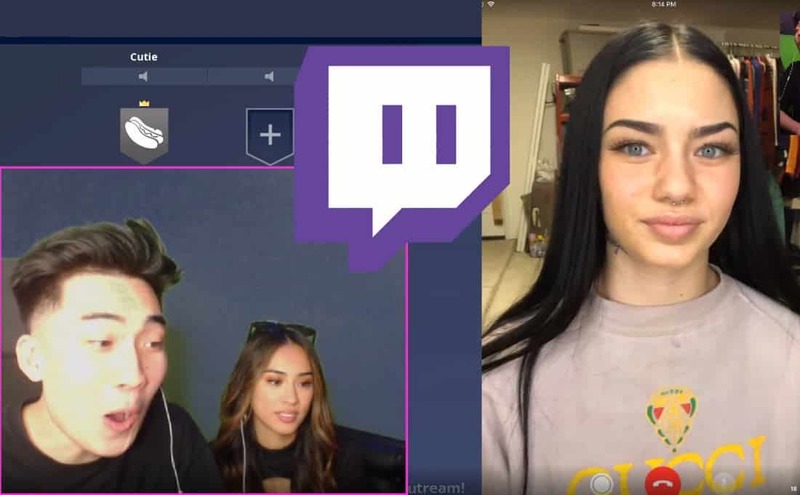 RiceFum was playing Fortnite with his cousin when he invited an Instagram model by the name of Jaiden Gumby on his stream. 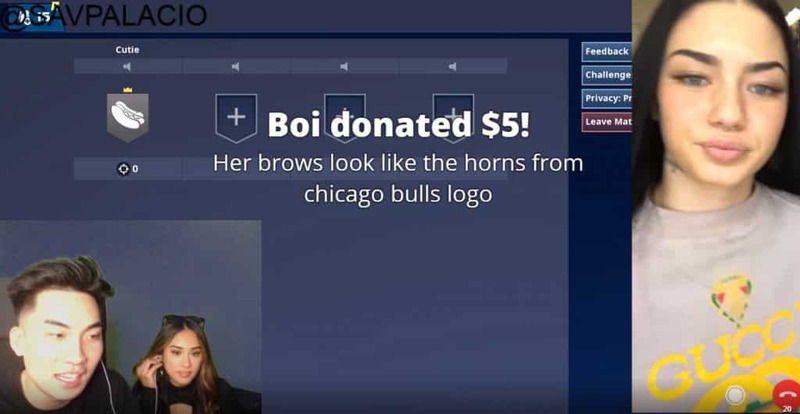 At one point RiceGum received a donation, and his TwitchAlerts Text-to-Speech voice read the donation comment. Leave’s him speechless. Jaiden Gumby, whose real name is Jaiden Gumbayan is an Instagram model (@jaidengumby). Jaiden Gumby is quite active on Instagram, nearly posting every day. She’s got quite the following with 46,000+. She also shares an artistic account found @jaidengumbayansmind where she posts some of her artwork there. Other: RiceGum Not Happy With Instagram Model’s Outfit. Calls Taylor Bee Out. Jaiden Gumby is also no stranger to controversy which she has addressed from her past. 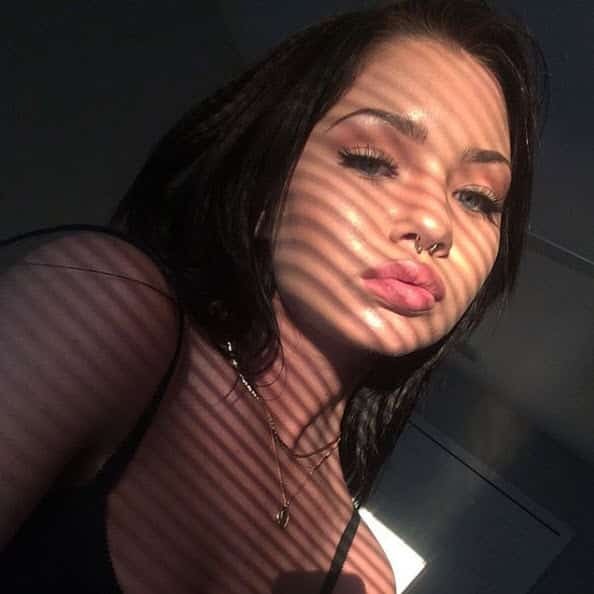 However, it seems that she is doing fine now, with a newly created YouTube channel holding close to 6k subscribers and just three videos up. She also has a business side to her, where she gives her contact info if you want to work with her. Jaiden was on RiceGum’s stream as a guest. While RiceGum took a break from playing Fortnite Battle Royale, he started a conversation with Gumby, checking out her Gucci sweater that she was showing off on camera. Rice says, “Ok ok ok. I f*** wit dat. I f*** wit it”. Then this happens. After RiceGum read that, he yelled and his cousin, Savannah Palacio gasped and looked shocked after hearing that. Jaiden Gumby didn’t seem very impressed as she raised her eyebrows and then put on a straight face. RiceGum quickly geared off track and complimented her eyes to ease the situation. Jaiden replied with a “thank you“. Getting roasted by a text-to-speech comment is bad enough, but not having the main host back you up is pretty harsh. RiceGum proceeded to setting up a lobby and continue playing Fortnite Battle Royale. Other: Instagram Model Gives TSM Myth An 8. RiceGum Then Say This.